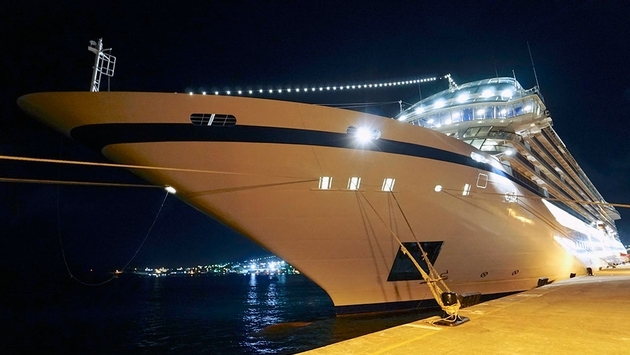 Viking Ocean Cruises’ Viking Star and Viking Sea are identical sister-ships with lots to enjoy onboard. Having just sailed on the line’s first Star, here are some additional tips we can pass on to maximize your time onboard. 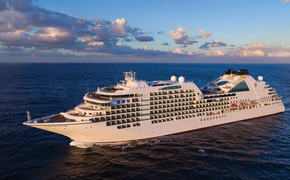 Viking Ocean Cruises offers an extensive list of inclusions that add exceptional value to a vacation. Whether it be the one free shore excursion available in every port; house beers, wines and soft drinks at lunch and dinner or more; there is lots to enjoy complimentarily. However, we suggest you mix it up and buy some extras too. Reasonably priced optional shore excursions are also worthwhile, and the Silver Spirits beverage package enhances your libations by making even more drink choices available to you at all times. Of course, among specialty coffees, tees and bottled water that are available to all guests at any time, regional beers are also free, as experienced in the Caribbean. So, when you’re on the Viking Star, be sure to try the local tastes onboard, extending even to regional selections in The Restaurant with a new appetizer, main course and dessert each night. Plus, The Kitchen Table experience combines a private market visit with a culinary demonstration and dinner featuring local ingredients that is well worth the current surcharge of $249 per person. With so much great food on the Star, it might be easy to dine out for every meal, but even 24-hour room service is exceptional and free. Our favorites: caprese salad, pizza of the day, Italian sandwich, macaroni and cheese, chili cheese fries and apple pie. Also, for guests in an Explorer Suite, the full main dining room dinner menu is available to be delivered as well. On most cruise ships, the best entertainment is reserved for the main show lounge, but in our experience, the more intimate Torshavn nightclub actually puts on a better cabaret where the singers’ talents better shine backed by a live band. Also, the bar here serves up an extensive array of premium armagnacs from across the decades for connoisseurs to sample. Other cruise lines need to take note of Viking Star’s abundance of USB charging ports in most of the ship’s staterooms. Not only are there two at each nightstand beyond traditional electrical outlets, but there are also five additional in the base of the desk lamp. Only the otherwise excellent Explorer Suite is curiously missing any USB ports. The Viking Star is filled to the brim with so many great little details that it’s a good idea to stop and smell the roses from time to time. For one, the line is so proud of its art collection that it has recently updated its free downloadable mobile app to feature audio commentary on each piece throughout the ship. Also, there is no central library onboard because the whole ship has books of varying genres to freely check out spread across several different venues. The same is true of fun board games and interactive digital tables. Plus, the promenade deck nicely wraps fully around the ship, and the forward section has windows that overlook the mooring deck to take a gander at some of the Viking Star’s interesting machinery during anchoring and docking operations.